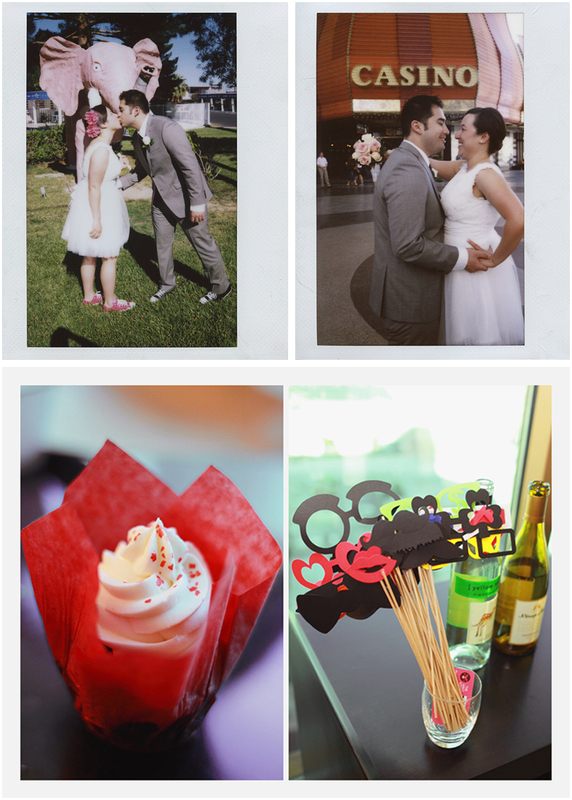 One of my favorite mementos from my wedding are the box of Polaroids I took on the day. They are these gorgeous snapshots of the day, in faded, unexpected colors and tones, printed on actual photographic prints. Remember those?! In any case, this isn’t about me. What I’m saying is that I have a real soft spot for Polaroids, and that is a big reason I am such a fan of photographer Gaby Jeter’s work. I hope the couples treasure the ‘roids she takes as much as they should. They are wonderful souvenirs, and a beautiful way to archive a special day. In the case of today’s wedding, it really adds to the over all vintage feel the couple was seeking. This wedding started on the far south end of the Strip at the Valley of the Falls chapel at Mandalay Bay, then went really far north to the downtown arts district. I love the robin’s egg blues and faded pinks Gaby chose as backgrounds for the photos – they really finish off the retro styling the bride and groom wanted, something that is obvious in everything from the vintage dresses the bridesmaids wore to the glasses the bride wore. Fab, right? Anyhow, without delay, check out the wedding below. Don’t you totally want to know what the bride heard to cause that reaction in this first photo!?? The detail shots are gorgeous – and aren’t the bridesmaid hairpieces beautiful? Right out of a magazine. So so good. By the way? The bridesmaid dresses…they’re from ModCloth!! These last shots are the best. From reading forums, I know a lot of couples wonder if it’s worth the time and money to get photos done at the Neon Boneyard. I think these photos from around the arts district in downtown Vegas are proof enough that you can get vintage feeling photos without paying the shooting rate or having to head over to the Neon Museum. Don’t get me wrong, I love that place, but due to budget or time constraints, it’s not always possible. Gaby’s photos show there are alternatives for couples looking for that vintage vibe! 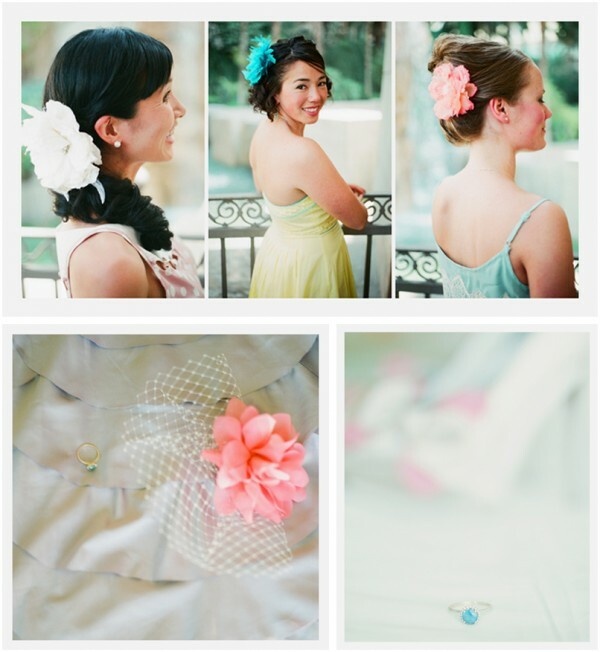 More shots of this awesomely retro wedding over at Gaby J’s blog.